Patio doors can be of great help as it can change the style of your house and enhance the overall curb feel. Most people customized their patio doors, eventually with such customization, there was a new trend in patio doors that are now widely available. ON Star Windows & Doors have different kinds of patio doors to boost the look of your house. However, you can also select from these top five trends to help you make your home stand out in the neighborhood. This trend of using the outdoors as an extension of your indoor living area has always been very popular. This trend has enabled a lot of interior designers to integrate the patio and the inside of the house effectively. Patios now feature outdoor kitchens, well-made furniture, and often converted sheds. The smoother the visual transition between outdoor and indoor, the better is your patio door. Ask your window and door contractor to give you a patio door that is the perfect match for this trend. Luxury is not everyone’s cup of tea, but everyone wishes to taste luxury once. With multi-panel doors and floor to ceiling glass, luxury is not limited within a few hands any longer. Try to stick the patio doors with windows in repetition to enjoy a maximum number of views and make sure to take advantage of natural daylight and ventilation. Sliding patio doors are perfect to create this trend at your home. It is so easy to put up that you will be able to follow the trend in no time. Do you want to maintain a consistent temperature at home? Then you must try the energy efficient doors as is not only helps to consume less energy but also makes sure to provide you with utmost comfort. There are various types of energy efficient patio doors such as a dual pane glass for improved insulation, Low-E glass coatings to block out undesirable solar rays and keep your home’s temperature controlled, or gas-filled spacers for better thermal performance. Such doors help you to maintain the cost for your heating and cooling by sealing your house from winds and water. This will keep you away from all the rubbish entities that occur outside of your house. If you are looking for a stylish, creative and sophisticated look then you must opt for black or dark colored frames in patio doors. If you choose this kind of frame then you can reduce the need for heavy window treatment as they provide a visual treat to your home anyway. In order to create a strong contrast, you can mix and match the door with light colored walls like the white walls, which are again in trend. Seek the help of your door contractor and ask them for an assortment of colors for you to choose from. Like they say less is more, sometimes a slim frame can add a whole new dimension of class to your house. If you are able to design your patio doors with the clean line then you can expect to draw everyone’s attention to your house. Most patio doors these days offer a streamlined and contemporary look with their slim frames. This style is very popular as it is simple and minimalistic, which connects your house with modern architecture. 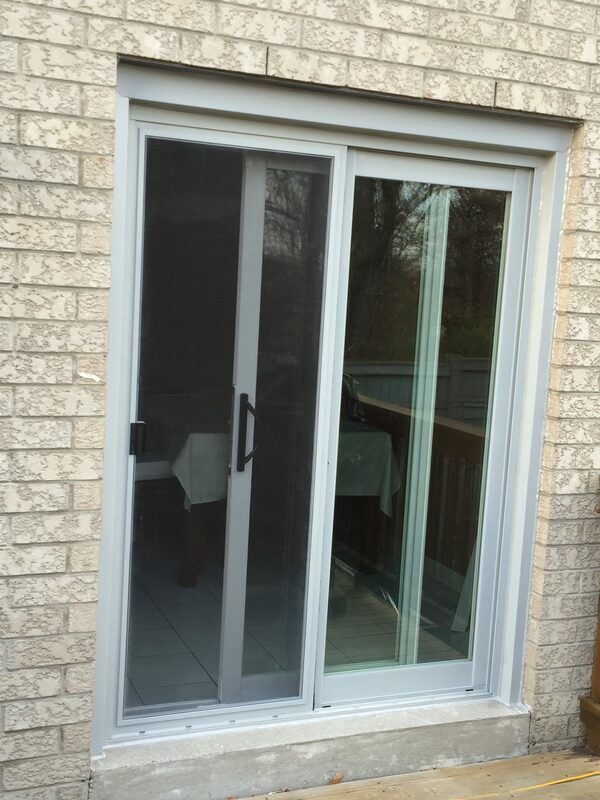 Patio doors breathe fresh air into your homes, they range from traditional to modern. Follow the trend that matches with your style but do make sure to go for patio doors if you want refreshing indoor and outdoor spaces.